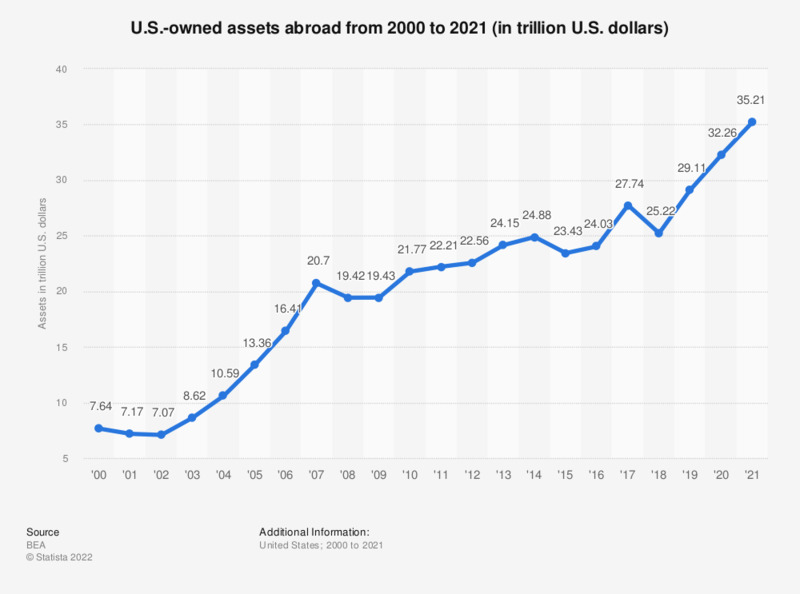 This graph displays U.S.-owned assets abroad from 2000 to 2018. U.S.-owned assets abroad amounted to 25.4 trillion U.S. dollars at the end of the 2018, compared to 19.43 trillion U.S. dollars at the end of 2009. Statistics on "Cross-border commercial real estate investment in the United States"